I have a thing for children’s books. 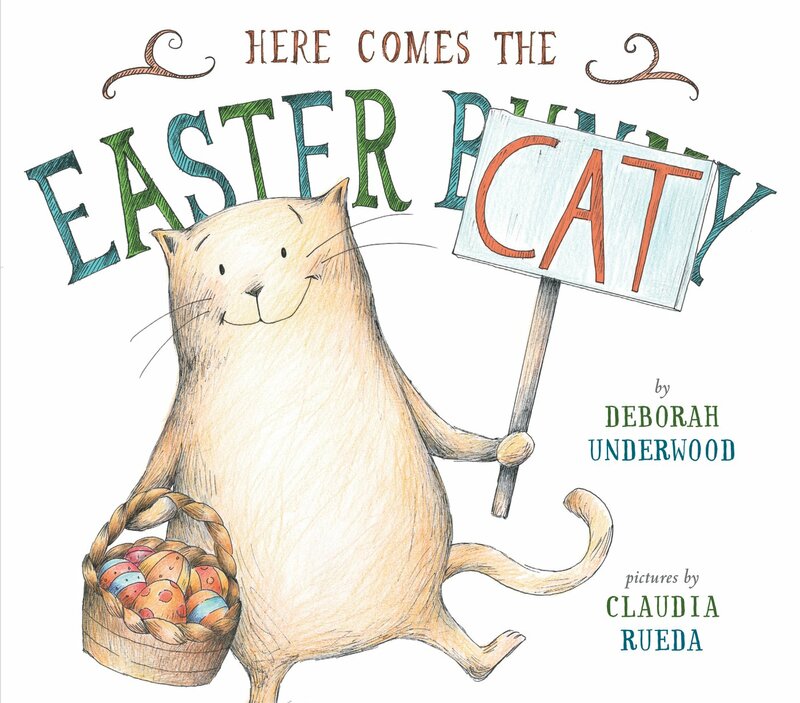 It is not unusual for my friends and family to see a sweet children’s book — usually one with a pro-animal theme — and pick up a copy for me. I have a small collection, and I’m not ashamed of that. 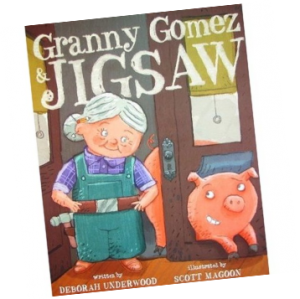 When I first heard about Deborah Underwood‘s new book, Granny Gomez and Jigsaw, I knew I needed a copy. I even managed to convince myself that I was getting it for Mariann’s pint-size niece, but I think little Sienna will just have to get her own. I recently had the opportunity to talk to Deborah Underwood, who, in addition to being the author of Granny Gomez and Jigsaw, is also a long-time animal advocate. 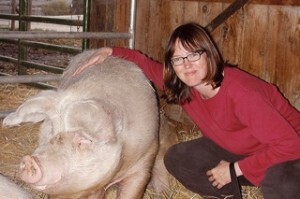 Deborah let me in on the inspiration for the special pig who inspired this amazing book, the importance of fostering in children an appreciation of farm animals, and she shed light on some helpful tips for any aspiring author. Our Hen House: What was the inspiration for Jigsaw, the unbelievably adorable and sweet pig in your book, who completely stole my heart? Deborah Underwood: Jigsaw was inspired by Babe, my adopted pig who lived at Farm Sanctuary for many years. Because of her, I learned that pigs form very close friendships. Babe had a best friend named Tracy, and every time I visited, they were hanging out together. Once, I went to the farm on a sweltering day, when most of the pigs were cooling off in the mud. But when I said I was there to see Babe, the shelter person started leading me to the barn. I asked her why Babe was in the barn on such a hot day, and she told me that Tracy had had a medical procedure and needed to be kept inside, so Babe had decided to stay with her. Two things about this really impressed me. First, the idea that a pig would choose being with her friend over her own personal comfort — since the cool mud must have been more comfortable than the hot barn — was mind-boggling. In my naiveté, it hadn’t dawned on me that pigs might value friendship that highly. And second, the matter-of-fact way in which the shelter person relayed this information told me that it wasn’t extraordinary to her at all; it was simply the way she’d expect a pig to behave. On another visit, I learned that the pigs had recently moved to a new barn. During the process, all the other pigs had climbed onto the truck without a problem, but Babe had refused. They’d left her alone in the old barn overnight, hoping that she’d change her mind. She didn’t. They’d finally moved Babe by using straw that smelled like Tracy to lure her, on foot, to her new home — a process that took several hours. So when I started writing picture books, pig friendship seemed a logical theme, although in Granny Gomez and Jigsaw, the friendship is between a pig and an old woman. Babe passed away several years ago, but I’m delighted that some part of her lives on in this book. OHH: What was the inspiration for the energetic and youthful Granny Gomez? DU: Actually, in my early notes the human was a man named Mr. Parris, because I thought Mr. Parris and the Pig would be a good title. About the same time, I had an idea for a book called Granny Gomez Goes Skydiving. Somehow they merged into one manuscript, and voilà: Granny Gomez and Jigsaw was born. It seems as if many books show elderly women sitting around in rocking chairs knitting, and I wanted to break the stereotype. I know a lot of very cool, active, vibrant older people — including my dad, who at 75 sings in three choirs, practices Taiko drumming, and is in far better shape than I am (despite all the vegan cookie recipes he’s perfected)! OHH: In my favorite part of the book, at the possibility of Jigsaw becoming someone’s bacon breakfast, Granny Gomez yells “No one is eating THIS PIG!” I particularly loved that part because, for a lot of kids, reading that might very well be the first time the connection is made between farm animals and what they are probably eating for dinner. What kind of reaction do you think parents will have when reading this to their children? What kind of reaction do you think kids might have? DU: Well, I’d love it if kids and parents looked at each other and said, “That does it! No more hot dogs for us!” I hope it at least makes people stop and think about their food choices. If kids don’t know where bacon comes from, the book certainly could give them pause and ask their parents some difficult questions. But if they do already know where meat comes from, I’m not sure how much of an effect the story will have. When we see an individual animal in danger, most of us feel compassion. Since we see how cute little Jigsaw is, sitting there in his basket, I doubt anyone, child or adult, will question Granny’s desire to save him. That’s why I believe we need to leverage the power of specificity in our activism. It’s too easy for people to dismiss cruelty to a large group of nameless beings, whether human or nonhuman. But when they connect with an individual in that group, it’s a lot harder to turn away. It always drives me nuts when there’s a news story on about, say, a duck who’s trapped in a sewer, and fifty people and three fire trucks and five city engineers turn out to rescue her, and after hours and hours they do, and everyone applauds and hugs in relief — which is fabulous — but then they all go home to dinner and eat factory-farmed chickens or pigs who spent their whole lives in abysmal conditions. How do we get people to make the connection that groups are made up of individuals who are each worthy of our compassion and care? I wish I knew. But I think every time we show a nonhuman animal as an individual, it’s a teensy step forward. I hope that’s what the book does. 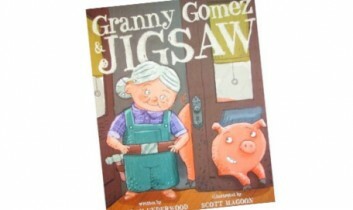 OHH: Granny Gomez and Jigsaw has a pretty major publisher — Disney Hyperion. Was there any push-back on the underlying veg message from them, or from anyone else involved in the process of publishing this book? I kept wondering if anyone would object — I was girding myself for battle, in fact — but no one did. One reason may be that the bacon reference makes sense dramatically. Granny adopts Jigsaw to save him from eventual death; if that threat hadn’t been there, she wouldn’t have overcome her initial reluctance to keep him. There’s an awful lot of text on that spread, and I think my editor suggested cutting the “BACON? 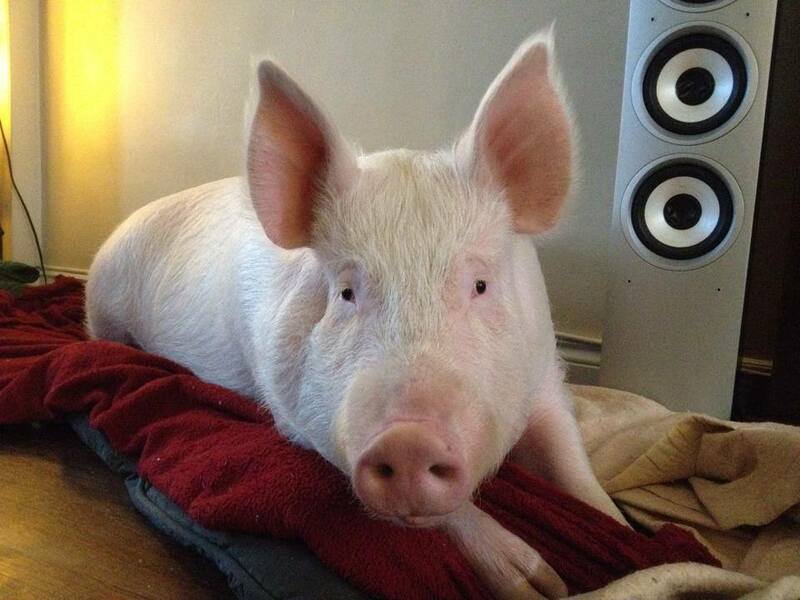 You mean this little pig will be somebody’s breakfast?” line. Strictly speaking, the book would have worked without it. But it was very important to me that Granny have that moment of realization, then look at the pig — really see him — then make up her mind to save him. So I was happy that I got to keep everything I wanted in there. OHH: I know that you’ve written other children’s books. Is this the first one with an animal theme? DU: My first three picture books are out this spring, and they all feature animals, although the others don’t have an animal rights theme. The Quiet Book (Houghton Mifflin), which is about the various kinds of quiet we experience, has amazing animal illustrations by Renata Liwska. I assumed the main characters would be human, but the editor suggested making them animals instead, and the final result is terrific. And A Balloon for Isabel (Greenwillow), which is illustrated by Laura Rankin, is about Isabel, a porcupine who desperately wants a balloon. Isabel stands up for what’s right and refuses to accept the status quo, so in a way I guess you could say the book is about animal activism! OHH: How long have you been vegan? DU: I became vegetarian in 1981 and vegan in 1997. I wish it hadn’t taken me so long to make that final step, but it seemed tremendously scary at the time — I had no idea what vegans ate. I remember thinking, “Well, I couldn’t be a vegan on Thanksgiving, because I wouldn’t be able to eat ANYTHING!” I think of that that every Thanksgiving as I look around my table and see mashed potatoes, gravy, stuffing, Tofurky, cranberry sauce, salad, wild rice with mushrooms, pumpkin pie, soy ice cream, etc., etc., etc. Fortunately, there are a lot more educational resources out there these days to help people. OHH: What is your favorite way to advocate for animal rights? DU: As an introvert, I’m not very comfortable doing things like leafletting, although I write letters and emails to legislators and other decision-makers. But as I’ve heard you say, no matter what your skills and talents, you can use them to help animals. If I can write some books that help kids see animals as individuals, who knows what kind of ripple effect that will have? I sometimes do school visits, and they’re a great opportunity to tell kids about Babe and about how special pigs are. During my very first visit, one first-grader asked what had happened to Babe, and I had to tell the kids that she died. Then another asked if I’d cried, and I said yes. As this was happening, I was thinking, oh my gosh, this whole presentation is going off the rails — I don’t want to be talking about crying and dead animals! But as I thought about it afterwards, I realized I’d given the kids some important information: that it’s okay to cry if you lose an animal friend, and that some adults value pigs enough to mourn them when they die. Not a bad day’s work after all. I also think that just by living as vegans in the world, we make a difference. If I’m at a potluck, it’s nearly always the case that someone — often the person I least expect! — will come up and tell me they’ve made something vegan so I can eat it. When I worked in an office and we had pizza parties, the receptionist would always order a vegan pizza for me and it would disappear before the meat pizzas did. Every time I take non-vegan friends to a vegan restaurant, I think, “Okay, saved a chicken tonight, hooray!” And if someone gives me an opening, I’ll definitely take it. For instance, if someone tells me she’s trying to eat less meat, I’ll email her one of my favorite recipes or suggest a good vegan cookbook. All the little things we do add up. OHH: Writing an animal-themed children’s book is actually something I’m in the process of doing! What advice would you have for me, or for someone else reading this who might be interested in breaking into the world of writing children’s books? DU: One popular misconception about picture books is that the author needs to provide the illustrations. Actually, the publisher chooses the illustrator after acquiring the manuscript, and submitting text and illustrations together is frowned upon unless you’re an author-illustrator. 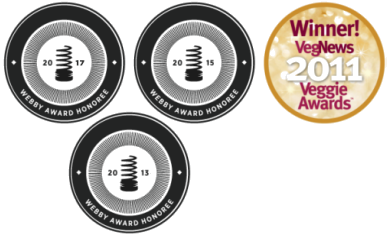 I advise everyone interested in writing for kids to join the Society of Children’s Book Writers and Illustrators, a great organization that provides lots of good resources. Also, “message” books for kids can end up being pedantic and dry if the author isn’t careful. I believe that if you concentrate on writing a good story and writing from your heart, your values will automatically come through. OHH: How can people learn more about you and your other projects? 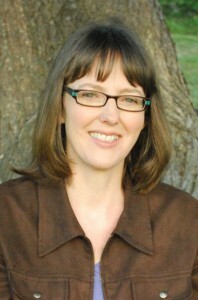 DU: Please stop by my website: www.DeborahUnderwoodBooks.com. Thanks!